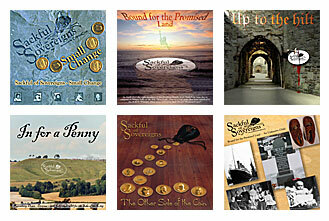 Sackful of Sovereigns - Based in Melksham, Wiltshire in the heart of rural England, Sackful of Sovereigns is a five piece electric folk band performing their own original material and modern arrangements of Traditional English Folk Music. WELCOME TO OUR SITE. Based in Melksham, Wiltshire in the heart of rural England, Sackful of Sovereigns is a five piece folk rock band performing their own original material and modern arrangements of Traditional English Folk Music. All the info on the band should be here but if you need any other details please contact us. Rehearsals for the new band line up will be continuing. We'll keep you posted as to progress. Have you heard of the "Goodwin" family from Melksham? 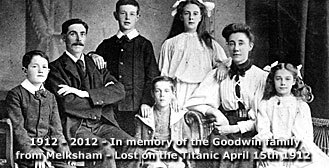 They were the family who suffered the greatest loss of life in the Titanic disaster. Hit PLAY and you can learn their story thanks to local band "Sackful of Sovereigns"